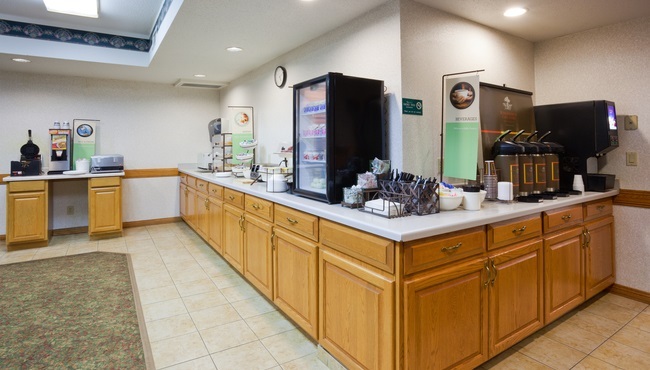 At the Country Inn & Suites, Detroit Lakes, MN, you can start your morning with a free, hot breakfast every day of your stay. Planning a sunrise fishing trip or want to hit the golf links early? Breakfast begins at six on weekdays and seven on weekends, so you can fill up before you begin exploring. Enjoy satisfying cereals and breads to keep you full, or opt for lighter options like yogurt and juice. When you're ready for lunch and dinner, stop by one of the city's many local restaurants.